From provided prints, to engineering services, Casper's does it all! Fast turn-around times and quality parts are our specialty! Casper's Electronics can handle any quantities! From prototypes, to low-runs, to production runs, we have you covered! Over 7000 Connectors IN STOCK! With 0ver 7000 different connectors from both foreign and domestic manufacturers in stock, we can begin projects quickly! Casper's Electronics has been designing mates to connectors not currently available in the marketplace for over 15 years! From concept to production part in approximately 30 days! Casper's Electronics maintains cutting edge equipment used to produce products! Better technology = better quality! Creating molds is only half the equation. How do you know if you are making a viable part? With in-house rapid prototyping, we can verify proof of concept immediately! Your one-stop-shop wire harness and connector manufacturer specializing in fast production dedicated to quality and service. In-house engineering experienced with both connector and harness design. On-site rapid prototyping equipment means immediate proof of concept and product testing. Dedicated sales team, dedicated engineering team, and dedicated production management team coupled with direct management involvement benefits our customers! Universal fit, off-the-shelf components, modern materials and component substitution recommendations give from Casper’s help you explore cost and part savings! 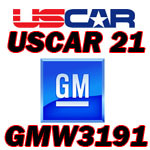 Casper’s Electronics – Loveland, COLORADO – 9/15/2014 We are please to announce the added capabilities of producing products that conform to the USCAR 21 and GMW3191 specifications. With a substantial investment into new equipment, we can easily produce harnesses, right here in the USA, that conform to these specifications if our customers require it. 25 years of experience and working closely with our customers has helped shape Casper’s into what it is today! We pride ourselves on customer service and quality products. 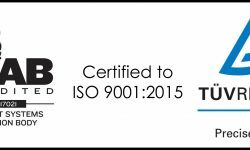 Casper’s has achieved several certifications and there are several more in the works. Some of the markets served include: Alternative Energy (CNG & LPG), High Performance Automotive, Heavy Trucking, Industrial, Agricultural, Military, Rail, and many, many others! Have a product you want to bring to market? We can help by lending our experience and expertise in design. Already have a product made? Let us help streamline it! We can offer suggestions and recommendations for product usage to save cost on raw materials and/or production times! Casper’s Electronics has worked in almost every aspect of automotive wiring for over 25 years! 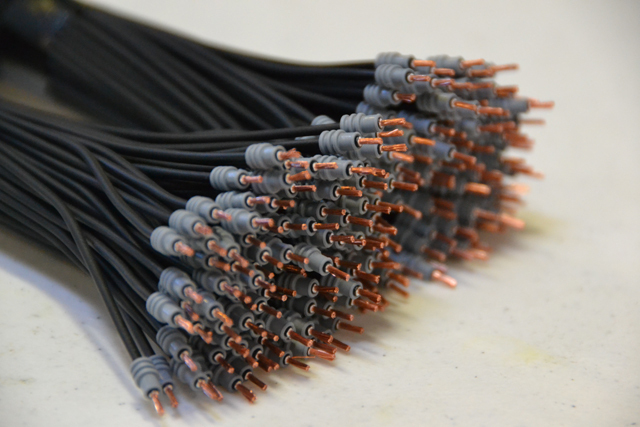 Small and large quantity production of engine harnesses, adapters, custom product implementation, and custom made connectors are just a few of our specialties! Our sales, engineering, and production support personnel are available any time to help you with your project! We have great control over production, so late stream engineering changes can be implemented quickly and efficiently. We take pride in providing quality parts right out of our production facilities in Loveland, Colorado! We don’t outsource – we adapt quickly – to get your parts in your hands quickly! We welcome you into our facility anytime! Take much of the information found on our site to-go! This printable brochure includes much of the information found on our site.